Ah, this time of year can be a flurry of visitors, more activity than usual, cooking, cleaning, shopping, and so much more. Do yourself a favor, keep your cat calm which in turn will make you calmer because you aren’t worrying about your cat’s nerves or possible naughty behavior. Company is coming! 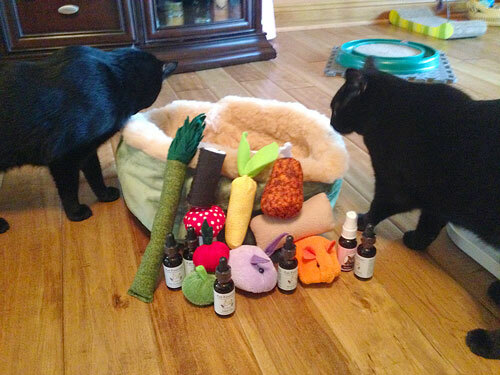 How to train your guests and visitors to be cat friendly! We sure love our guests. It’s fun to plan for them, to feed and water them, and create new experiences and memories. Some cats love having new people around, they can thrive on it. But for other cats it’s a disaster! “Who are these people and why won’t they leave? !” Their noise can be upsetting, their smells can be unfamiliar, they might bring a dog or children and heaven forbid they might sit in the cat’s favorite chair! The last thing we want is a stressed out cat – this can lead to vomiting, not eating, being a bit aggressive, or the worst of the worst: litter box avoidance. Tips for training house guests which will help keep kitty calm and allow you to be the perfect hostess who enjoys your guests. Visitors should be asked to not approach your cats. Let the cat’s curiosity kick in so that if your cats want to be petted it will be asked for. No rough housing! No vigorous petting unless that’s something your cat likes. Give your visitors a favorite Cat Faeries catnip toy so they can interact with the cat. The cat will view your catnip toting guest as a friend! This may sound nutty, but it works. Make the visitor endearing to your cat via sense of smell. A spray or two of our Cat Faerie Catnip Mist on clothing works wonders! You can also give a spray or two of Comfort Zone with Feliway to clothing or shoes. Really! This works! If your cat likes to hide in a back room, let it be. If the cat wants to join the holiday festivities, it should happen when the cat wants it, and on the cat’s terms. Show children how to play gently with the cat. Children should know to not bother a hiding, sleeping or eating cat. Loud exclamations like “THAT CAT IS SO CUTE!” can frighten a cat who’s not used to hearing loud voices. If you’ve got several Comfort Zone with Feliway Diffusers, place them all in the room that your cat spends the most time in. The beauty of the diffusers is that you can move them around. Don’t change the cat’s feeding times. Even a half hour can worry or upset a cat. To help make your cat more comfortable during holidays, plug in a Comfort Zone with Feliway Diffuser a day or two in advance. The diffuser will last for four weeks (so you may need more than one to keep your cat comfortable through the festivities), and helps your cat adjust to a changing environment. Stress behavior (vertical scratching, urine spraying, etc.) is usually a result of stress, and using Comfort Zone products with Feliway can help keep your cat happy and your home safe. Feliway is used and recommended by veterinarians nationwide. Plug it in and forget about it (until 4 weeks later when it’s time to install another refill of the pheromone) Fills a 600 square foot room with the calming scent. You may need two per room which is a good idea especially this time of year. The Comfort Zone with Feliway Spray makes it easy for you to go from room to room and spot treat furniture and other surfaces putting the calming pheromone right on places that the cat likes to sit or rest. It will also deter urinating or spraying urine. A few drops of this magic liquid in the water bowl or in food works wonders to calm down a cat. You can also rub a few drops on ears and top of the cat’s head. This formula will be helpful if your visitors will be staying for awhile! Cats don’t like change, even if it’s Aunt Martha who’s occupying the spare room for a few weeks! Even moving furniture around for the holiday can upset an otherwise calm cat. Calm and Serene and Moves and Changes are on sale! They’ve been marked down on our website. Who doesn’t have a book full of stories about trying to pill their cats! And scratch marks too! Some of us are just not great at getting a pill into their cat. Others of us worry that the handling of the cat when pilling adds to the stress of being sick – not to mention it stresses us out too! Perhaps you already know about compounding pharmacies and that they can put medication for feline hyperthyroidism in gel form to be applied inside a cat’s ear. 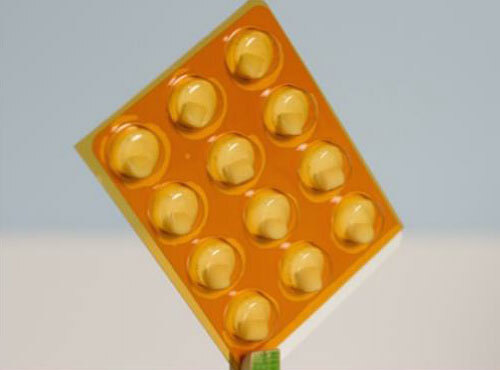 The good news is that many more medications can be compounded into a gel for application inside a cat’s ear. The reason why a cat’s ear is a great location for transdermal drug application is that the skin there is very thin and the medication will absorb evenly and quickly. A cat’s ear has a lot of blood flow to carry to drug directly into the blood stream. Another great option for cats would be to put the medication in a flavored mini-chew. Researching compounding pharmacies has told us that not just any compounding pharmacy will do. The ones which are exclusively for veterinary are surprisingly the worst choice as their standards, quality, and precise measuring of ingredient particle sizes can be lax. You’ll want to seek out a compounding pharmacy which also creates human medications. But that said, you also want a compounding pharmacy that will guarantee that none of the ingredients contain xylitol. Xylitol is a sweetener that is safe for people, but lethal to cats and dogs. Koshland Pharm guarantees that their products for animals are xylitol free. They also will provide you with a Certificate of Analysis if you ask for it – which is not the case with every compounding pharmacy. And your cat faerie knows personally that their attention to detail and getting everything just right is stellar. The size of the flavored mini-chew from Koshland is about the same size as a pencil eraser. Peter Koshland, the owner of Koshland Pharm, welcomes your calls and he will graciously answer your questions. Thinking of a special once-in-a-lifetime lion & tiger vacation? The Exotic Feline Rescue Center (EFRC) is a not-for-profit corporation founded in 1991 by Joe Taft in Center Point, Indiana, a rural area an hour by car from Indianapolis, to provide permanent homes for exotic felines (lions, tigers, etc.) who were abused, neglected, or unwanted. At EFRC there are currently 230 tigers, lions, leopards, cougars, bobcats. 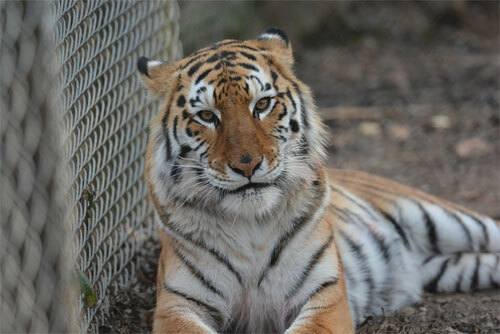 The EFRC is the largest USDA licensed big cat sanctuary in the US! Have you ever wanted to be among the big cats? Even sleep right next to them – without the expense and jet lag of going to Africa? They have a cabin which means that EFRC is your place to watch tigers from your room! Listen to lions roar! Hear the coyotes howl, look for wild turkeys and deer! And get the royal treatment from the keepers and guides! “I love the big cats too!! They are amazing and our facility is unlike any other. It’s definitely not like a zoo. You get within a couple of feet of these magnificent animals and get to hear them chuff, purr, growl and roar. And if you aren’t paying attention, one might choose to spray you (or mark you as his own!). Last summer I had a once in a lifetime experience there when I took the night shift of caring for a 4 week old tiger cub. Sleeping with the cub, waking up every hour or so to bottle feed her, play with her. Just amazing!! We almost never get any babies. We usually get them once they’ve grown up and their previous owners realize how hard (and dangerous) is can be to care for a full grown exotic cat! A lot of our cats come to us abused, mistreated & malnourished. We give them the best medical possible, do not breed or sell them and give them a forever home. When you spend the night, you can take as many tours as you like (but you must always have a tour guide with you, except with the big cats right outside your room) The morning after your stay, you get to follow the keepers around as they feed the big cats and clean their enclosures. The cats really interact with the keepers, especially when they know food is involved. Amazing experience!!! The keepers can answer any of your questions and know all of the cats… what their favorite food is, their personality, little quirks… you name it!”. Are you packing your bags yet? ROAR! Some of the goodies that Cat Faeries donated to the January 24th fundraiser and silent auction photographed with two of Melissa Petrovich’s gorgeous cats! Domestic kitties that is! Annual Saving the Big Cats Charity Auction.